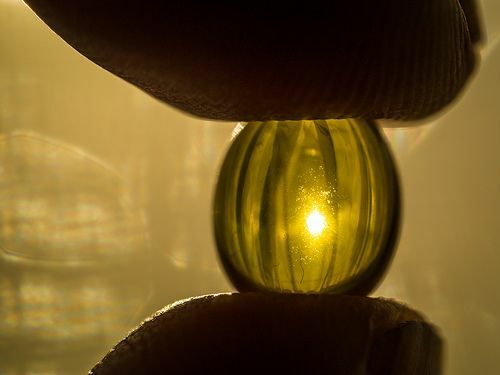 Without enough vitamin D, you are not only at risk of weak bones, but also at a higher risk of certain cancers, high blood pressure, and autoimmune diseases. The good news is that it only requires about 10 to 30 minutes of sunlight exposure per day to get enough vitamin D. However, if any of the following applies to you, then you may not be getting enough vitamin D.
This one should be obvious. In winter, there are few hours of sunlight – and that sunlight is often obstructed by clouds. Even if you are going outside in the winter, you are probably wearing lots of clothes. Vitamin D can only be synthesized from your skin’s unhindered exposure to sunlight. That means you will only be getting vitamin D from the sunlight on your face. If you are wearing makeup, then this will also prevent sunlight absorption! Short of running outside buck naked for 30 minutes a day in winter, you may want to take a supplement or go heavy on the fortified foods. Vitamin D isn’t found naturally in many foods. The foods where vitamin D is found are almost exclusively animal-based (such as sea foods). Mushrooms are the only significant vegan sources of vitamin D (excluding all the fortified foods on the market). As a result, studies do show that vegans may be at a slightly higher risk of vitamin D deficiency. Vitamin D is fat soluble. Thus, in people with high body fat levels, the vitamin can get stored in fat where it is unusable by the body. Even if you are getting enough sunlight, obesity can still cause problems with vitamin D – so that is just one more reason to shed those pounds! With skin cancer rates rising astronomically (1 in 5 Americans will be diagnosed with skin cancer! ), you’ll want to slather on a high SPF sunscreen. However, by wearing sunscreen, you are also decreasing your vitamin D production. 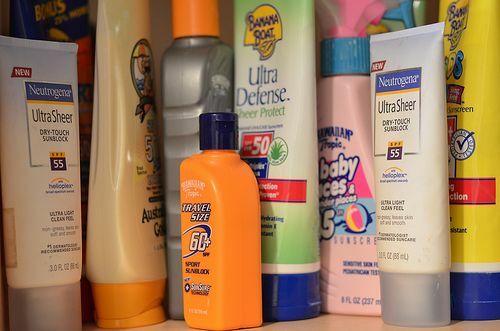 One study found that sunscreen use decreases vitamin D production by as much as 10x! It doesn’t seem fair that you’d have to choose between cancer and vitamin D deficiency. If you are at high risk of skin cancer, I’d stick with the sunscreen and take a vitamin D supplement. Considering how much time we spend indoors, it is no surprise that vitamin D deficiency has become a pandemic. This is especially true because your body does NOT make vitamin D from sunlight absorbed through windows! If you want to get enough vitamin D, it isn’t enough to admire the nice day through your office window. You’ve actually go to go outside. *I couldn’t find any info on whether makeup blocks vitamin D. But, since windows block vitamin D from the sun, I’m guessing that makeup does too.